On last week’s Fake Britain television programme BBC investigator, Matt Allwright, turned the spotlight on fake teeth whitening scams illustrating how illegal teeth whitening products and unqualified rogue whitening services were conning the public out of massive amounts of money, but more importantly how they were putting unsuspecting people’s teeth, mouth and general health at severe risk. The popular programme featured two ladies who had purchased ‘Professional’ home teeth whitening products from stalls at reputable venues. The product packaging and accompanying sales material were all very convincing and included statements such as: Used by dentists across Europe, Guaranteed results, Professionally recommended, and Will not harm your teeth. Both the ladies featured on the programme told the investigators how the whitening solution had caused long-lasting blisters, ulcers and soreness on their gums and lips. And no wonder – because tests showed that the ‘safe’ teeth whitening products contained over 100 times the legal limit of Hydrogen Peroxide! Trading Standards officers who raided the fake firm’s premises seized hundreds of dangerous teeth whitening products. The other case on the programme featured a so-called qualified and registered teeth whitening professional offering a laser whitening service. Surprise, surprise everything was fake. The ‘expert’ was not qualified and was not registered! Worse still the treatment provided was certainly not safe. The girl victim featured in the film described how she had been reassured by the certificates on the wall, but guess what, they were all fake. The Fake Britain programme went on to emphasise what we at Carisbrook have warned about on many occasions: teeth whitening is a medical procedure and as such can only be undertaken by qualified and registered dentists, dental hygienists and other dental professionals. If anyone other than these qualified medics offers a teeth whitening service it is not only illegal, it is potentially very dangerous. 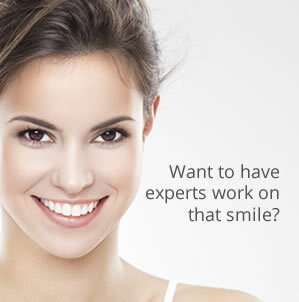 At Carisbrook we offer a range cosmetic dentistry services, including a number of teeth whitening products and it is only after we have carefully examined your teeth that we will recommend the most appropriate procedure. Our teeth whitening options include: Home Whitening Kits, plus in-clinic procedures such as the advanced Enlighten teeth whitening system and the ZOOM! system that can bleach your teeth up to eight shades lighter than the original colour in just one hour. If you are tempted by special offers and seemingly impressive certificates we recommend that you check the authenticity of the claims by contacting the General Dental Council. Right now we are offering £100 OFF our Home Teeth Whitening kits, which also includes a FREE ASSESSMENT for suitability. So please do not take risks with your teeth and your health. For details of our teeth whitening products call us on 0161 951 7295 or alternatively you can contact us by using the online form on our Appointments page.